Simple, Outlook - like user interface: everything is in its proper place. View Outlook calendar from PST and OST files in a few steps. 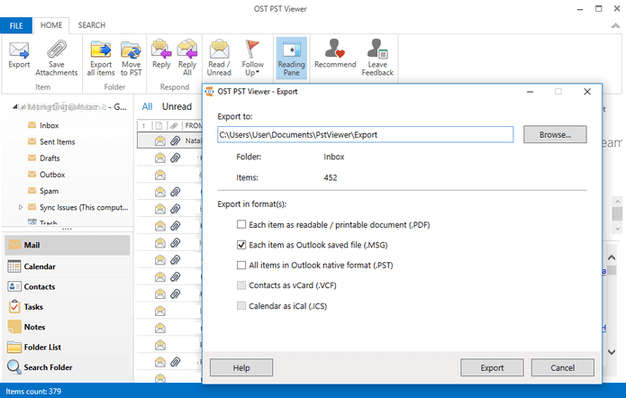 View contacts from OST and PST files without Outlook. Open as many PST and OST files as you want in a few simple steps. Search by folder, field or specific text. Search through entire PST or OST file. Filter by date, field or folder. Export messages to: MSG, VCF, ICS, PST file formats.